When Royal Caribbean’s Voyager of the Seas was completed in 1999, it was the world’s largest cruise ship, and hailed as the most innovative and exciting passenger ship ever built. The world of cruising was forever changed by never-before-seen features including an onboard ice skating rink and rock climbing wall. 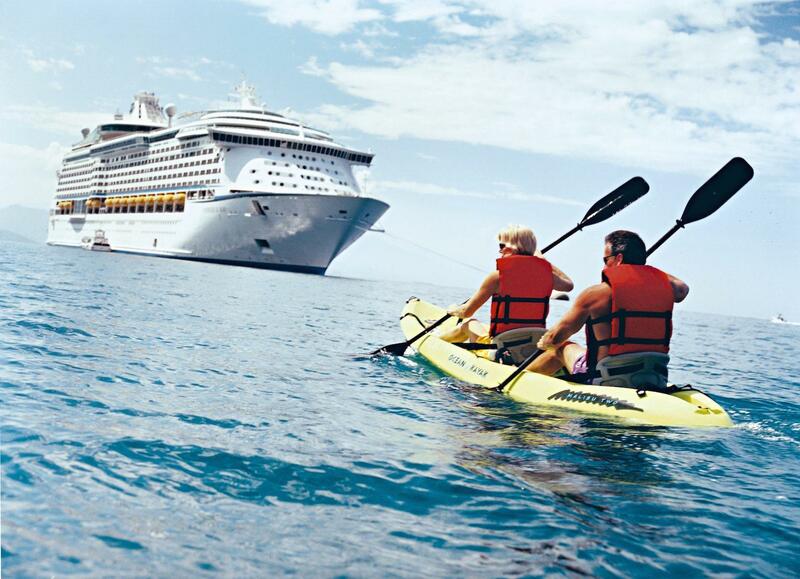 The concept of cruising as a solely leisure oriented pastime became a thing of the past with Voyager of the Seas, which introduced an abundance of health and fitness activities alongside the ever-popular relaxation options. 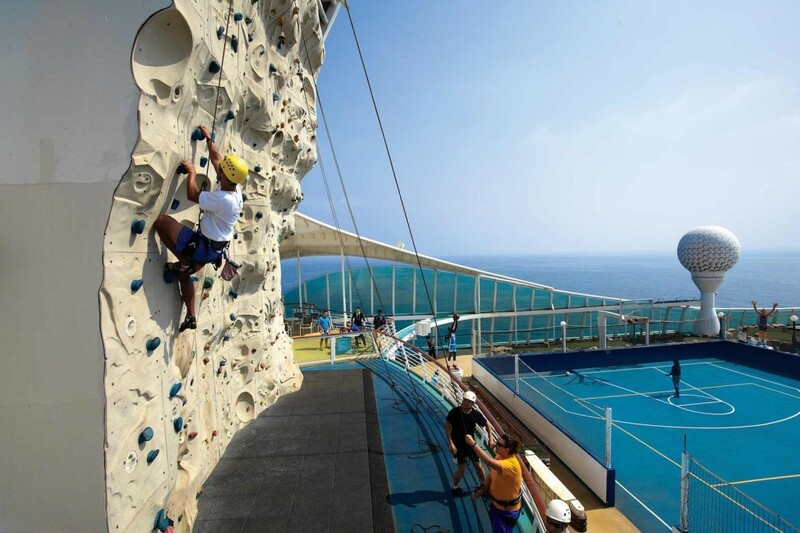 The other vessels in the Royal Caribbean fleet soon followed suit, with the rock climbing wall now a popular feature on all ships. All Royal Caribbean Voyager-class ships, along with several other classes, followed the at-sea ice skating craze introduced on Voyager of the Seas, signifying a victory for adventurous and progressive design and innovation. 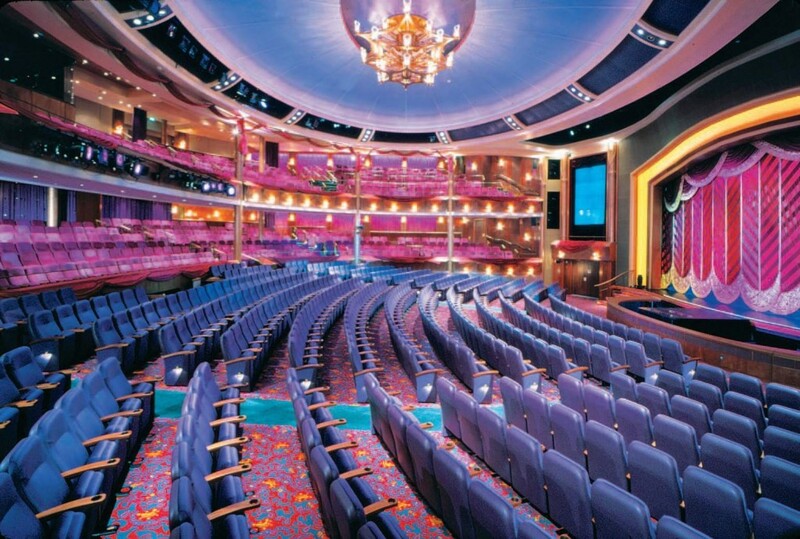 Another dramatic first introduced on Voyager of the Seas is the Royal Promenade. This opulent marble-floored street located at the ship’s interior stretches for more than ¾ of the vessel length, creating the genuine feel of a floating city. The Promenade is a magnet for daytime shopping, boasting high-end outlets and family friendly cafes. You will be excused for forgetting you are at sea during a stroll along the broad avenue and classically appointed Royal Promenade. Evening activities in the Promenade include the best of Broadway productions at the three story high Las Scala theatre. In fact, Voyager of the Seas, with a guest capacity of more than 3,100, provides an array of activities to suit every taste. Enjoy family time with a round of mini-golf, treat the kids to a thrilling day at Adventure Ocean, and enjoy grown-up entertainment at Casino Royale or your favourite choice from the range of quality bars and lounges. Everyone appreciates a little down-time, even on a fun-filled ocean cruise, and Voyager of the Seas has some of the best cabin options available. The rooms range from lavishly appointed suites with private balcony, to budget-minded compact rooms. There is a style to suit every passenger, and all rooms are comfortable, airy and relaxing. 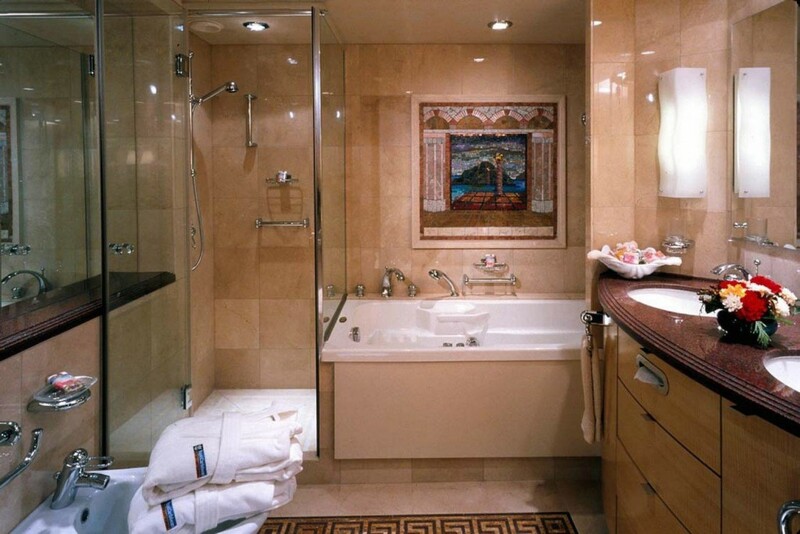 Deluxe suites and stateroom features include a private bathtub, complimentary concierge service, priority check-in and departure, plus TV, telephone, mini bar and a safe. Balcony suites are an enduring cruising favourite, and feature a superior ocean view, private balcony, private bathroom, and 24 hour room service. A choice of outside and inside staterooms are available, all with a private bathroom and shower, TV, telephone, safe, luxurious bedding and room service. In today’s competitive cruise ship marketplace, being spoilt for choice is no longer optional; it’s essential. Voyager of the Seas is no exception, providing dining experiences for every palette, from five-star fine dining to delicious mouth-watering fast food to satisfy every craving. The menus are varied and enticing, making every meal a new culinary experience. Portifino is the place for intimate dining and Mystery Theatre Dinner nights. The Windjammer Cafe is great for a quick snack or casual dining. Other options include the famous Johnny Rockets burgers and fries or a visit to Cafe Promenade for coffee, pizza and sandwiches. And not to forget that while on a cruise there is always a reason to enjoy an ice cream at Ben & Jerry’s. The vast range of onboard activities will see you discovering new-found talents. Friends and family back home will be amazed at your sporty new look as a capable ice skater, rock climbing mountaineer, basketball whiz or golfer. 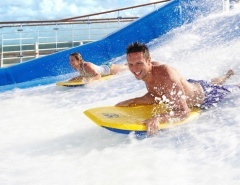 Activities on the Voyager of the Seas are a whole new world of fun, and a great complement to relaxed times enjoying the views or soaking up the sun around one of the pools. Counteracting the calories on a cruise used to be hard work, but not any more. Spa & Fitness Centre programs designed for everyone ensure you be the healthy and toned envy of your friends. Classes include yoga and tai chi, and there are over 100 different health spa treatments available. Intimacy is never far away on a cruise, and the Voyager of the Seas adults-only solarium is sure to provide the appropriate mood for you and your loved one. Royal Caribbean cruising is also designed with kids well and truly in the picture, and all the family are sure to have endless fun at the Adventure Beach family area. The Voyager of the Seas truly is a floating city, with every type of entertainment and shopping experience within convenient reach of your room. The only difficult decision is choosing which entertainment option to take. The complimentary entertainment in the main theatre is a treat for the whole family, with Broadway style shows full of Hollywood glitz and glamour. Other family friendly options include the thrilling Studio B ice-skating shows. For passengers wanting to experience some Vegas-style fun, Casino Royale is the place to be, where you will find 16 tables and 274 slot machines. Try your luck against fellow cruisers and make new friends along the way. It’s a good thing that the accommodation is so comfortable on the Voyager of the Seas, because with 15 bars, clubs and lounges onboard, some recovery time will definitely be in order. Sports fans are drawn to the Scoreboard Sports Bar and the good times keep coming at the Pig & Whistle Pub and Vault nightclub. Retail therapy is a must for many cruisers, and the opportunity to shop till you drop at the Royal Promenade is often the first port of call. Here you can purchase everything from exotic fragrances, sparkling jewellery, clothing plus anything you may have forgotten to pack for the voyage. It’s almost too much to try and list everything onboard the Voyager of the Seas, so to give a little perspective; try to imagine a floating pleasure palace with 15 decks, 14 bars, clubs and lounges and 10 pools and whirlpools. 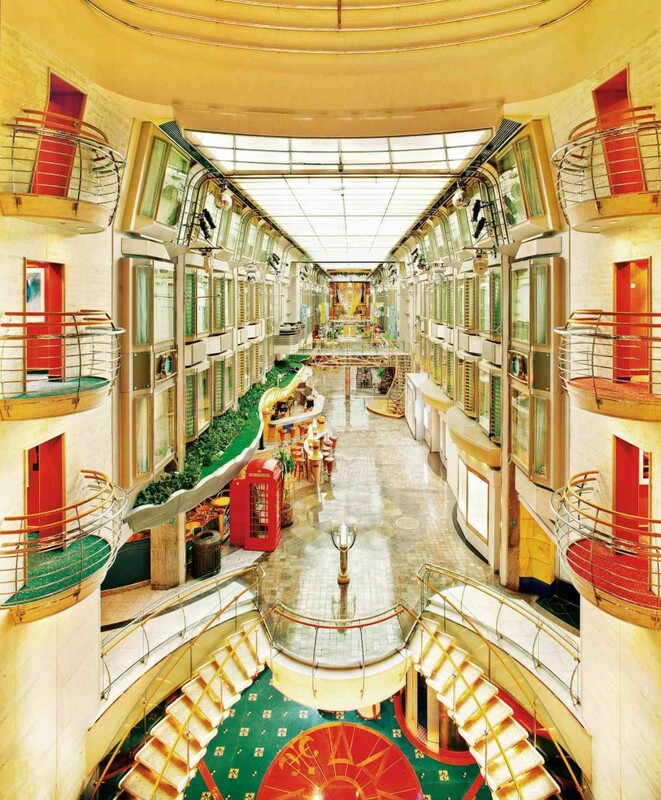 Voyager of the Seas is 138,000 tons of pure floating pleasure. With a cruising speed of 22 knots (approx 25 mph or 40 kph) you will carve a majestic passage across the ocean, and have plenty of time to enjoy the many exotic destinations on your itinerary. 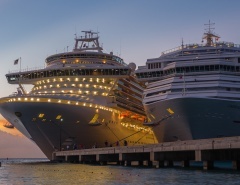 Royal Caribbean ships visit some of the world’s most famous and exciting locations, and Voyager of the Seas is no exception. 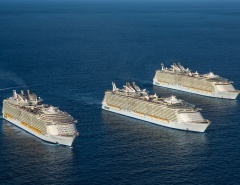 Ports of call for Voyager of the Seas include Australia, New Zealand, Asia and the Pacific Islands. 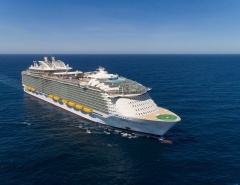 Royal Caribbean International continues to go from strength to strength as one of the greatest cruise line operators, and Voyager of the Seas remains at the forefront of the magic combination of cruising affordability and pampered luxury. Did I miss something important? Let me know in the comments!